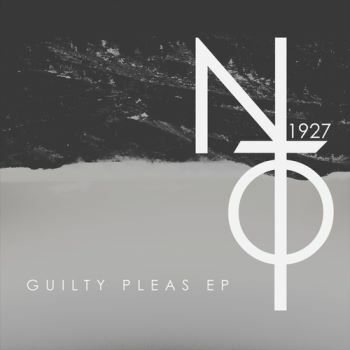 I would love to say that when they release a full album, Night Terrors of 1927 are going to release the album of the year, but I’ve seen enough bands fail to live up to their early single hype that I really can’t make that promise. That said, man is this song good. So is everything else they’ve released. Their first EP comes out today, and its 5 songs are damn good. Yet there is no question this track is the stand out. I don’t really know how to explain this music other than that it somehow seems to mash 80s pop with early 00s indie in a musical pairing that isn’t at all precocious or annoying. If there’s anything that could be said against NTo27, it’s that they should have released their EP in the summer because they make music for the sun. Changing it up completely, this haunting, melancholy work by Beth Orton is an excellent showcase for the British songstress’s uncanny voice. Her 2012, Sugaring Season, from which this comes, is so low-key that it kind of faded into the background, even for me whose favorite Orton album is the understated wonder, Central Reservation. Well, I might have let this album slip by me, but this song cannot be ignored. Gorgeous, delicate, brimming with a desperate beauty, Orton is many years into her career but she hasn’t lost her touch. I’ve already talked about seeing Neko live just last week, so I don’t know what else there’s to be said about it. She’s a force of nature, a tornado, a lion, a flood. This song is the centerpiece of her latest album, not only because it comes smack dab in the middle of the playlist, but because it resonates thematically with so much of her music. It’s a tale of abuse and pitiful human relations, but also a story about finding strength despite everything else, and if that isn’t the quintessential Neko Case song, I don’t know what is. Plus, her voice could resurrect the dead. To be honest, I wish I could say that the latest Okkervil River grabbed me as much as their earlier stuff, but The Silver Gymnasium, while not bad, isn’t as captivating as their earlier work. When I first listened to OR, I was struck by how immediately the songs hooked into me, and that sadly hasn’t been the case with this latest album. Except for this song. After listening to the album one time, “White” stuck out as the song to beat and after many listens through the rest of the album, it still is. Lyrically and musically, this is what this band does best and I honestly can’t get enough of it. With time, the rest of the album will likely grow on me, but for the foreseeable future this is the standout. This year is the 10th anniversary of the album that pretty much marks the high point for Death Cab For Cutie, and this is coming from a guy who unabashedly loves Plans and Keys and Codes. In fact, despite having seen the band on the tour for this album, I didn’t actually get Transatlanticism until less than a year ago, and boy do I feel like an idiot. I routinely heard it said that Transatlanticism was their best album, but I was always a little skeptical. Well, I shouldn’t have been. This album is a focused work of gorgeous contriteness, and I could have honestly put any track in this spot. I picked this one because it’s the title track and because I love long songs that build to a cathartic release. This album represents the definitive experience of being in your 20s, and I hope that restless twentysomethings are still discovering it decades down the road.